Day 8: Run an Advertising Audit on Your Blog. Obviously, that's not my focus so I took Michele's advice and tried to do something from Daren's Get Your Blogging Groove Back series. I attempted to write a linking post. In More on Learning Styles, I linked back to a lot of older and (I thought) interesting posts I'd written on the subject of learning styles, while also attempting to add something new. I know, from having looked at my stats at the time and the comments that came in, that these posts seemed to generate some interest. It's nice to recycle them and give them new life. I've been doing this off and on throughout this challenge, and even before, so no surprise when this assignment came up. My goal of late has been to streamline and simplify. Personally, I don't like blogs that have countless widgets that you scroll on endlessly. My house might be a mess, but I'd rather my blog were neat and tidy. I used to have a lot more on my sidebar and in looking at stats I could see people rarely clicked on most of those items: I had deli.cious links, access to my LinkedIn profile, another picture of me, and yet another link list. I just deleted a bunch of stuff and/or tried to incorporate it into my About Page. 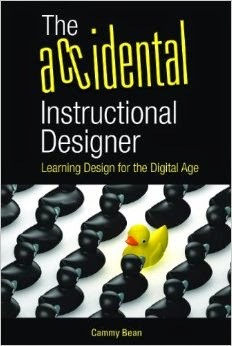 I did keep the Instructional Design Resources list, which seems to be useful to people. I also kept the LibraryThing listing books I'm currently reading (or have read or intend to read at some point...), as this does get a lot of interest (aka "hits"). It has a Facebook widget feel to me, but I think it's ok here. What do you think? Have I lost anything in the process? Did you even notice the difference? Not hard to do with tools like MyBlogLog or FeedBurner. I just have the basic MyBlogLog account, so I can only view a week's worth of data at a time. And I just started using Feedburner recently, so only have data back to August 1. My info is limited. That said, some of the stats that Darren suggests one looks at aren't very interesting to me. My goal is not making money. Maybe it's about creating readership, because that's about creating more community, connections and learning opportunity. So I wanted to look at my stats more from a content perspective -- what are people finding the most interesting of what I write? If you do want to create a lot of traffic, do a product review. I've recently written about Buzzword (a new online collaborative word processing application) and this is the number one way people get to my site. But sort of off-topic for me. I also did a post on Google Sidebars & Dual Monitors -- which seems to be a hot search topic for people.